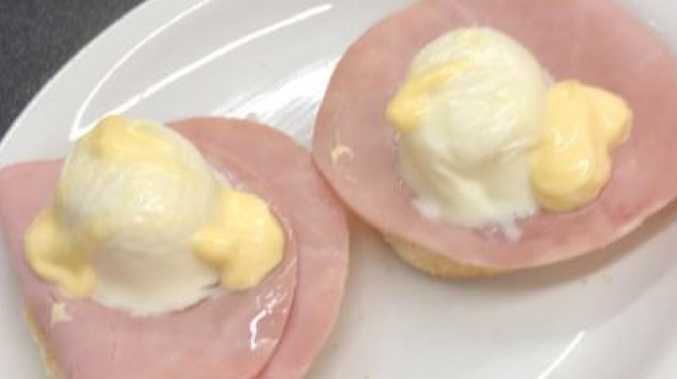 A FURIOUS customer has slammed a cafe's "monstrous" $9 (£5) Eggs Benedict after tucking in at his local store. Thomas Hesketh, 20, was disgusted when served the dish at a cafe in his local branch of the UK supermarket giant Tesco. Sharing a picture of the eggs on Twitter, he fumed: "Ordered eggs Benedict in your Wigan cafe and received this monstrosity." The image showed two limp pieces of cold ham with what looks like dollops of salad cream and custard on a small piece of bread. Thomas said he finished the dish despite how it looked as his dad's breakfast was already there and they "didn't have time to wait for another." According to the dissatisfied diner the hollandaise sauce came straight out of the fridge. He said: "I could see as it was an open kitchen. 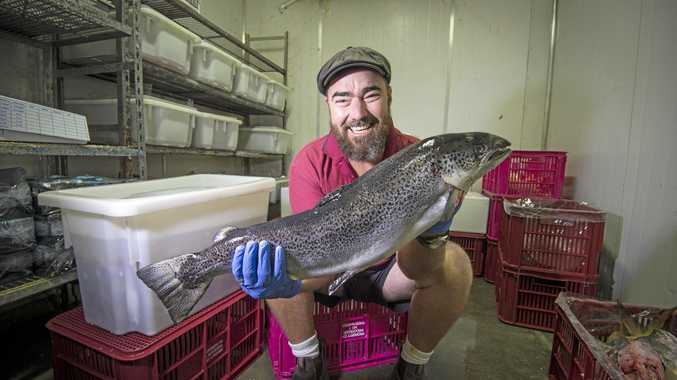 The hollandaise sauce was straight out of a small tub from the fridge." The stomach-churning picture has gone viral with more than 19,000 likes and 3,500 retweets. Tesco replied to Thomas' tweet saying: "I'm very sorry about this happening. Did you tell the cafe staff?" But Thomas was sure to let them know that it wasn't the staff that were the issue but the food itself. He replied: "Yes, they said they would cook me up another one but it would be the same!" A spokesman for Tesco later apologised for Thomas' bang average breakfast.